a nail never looked so ah-ma-zing!! 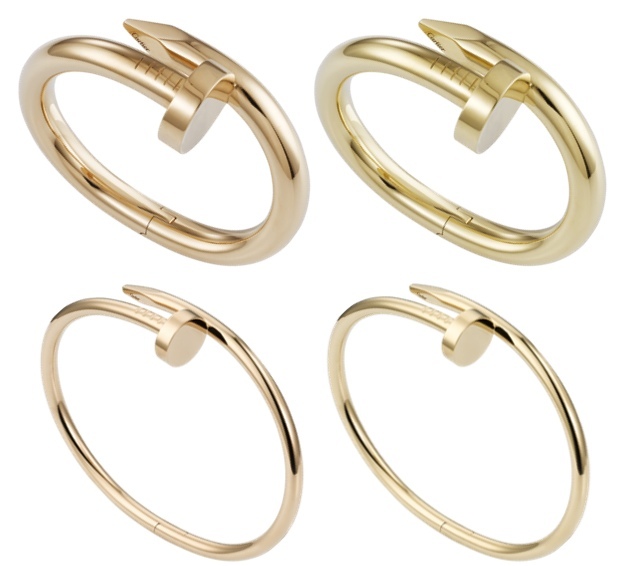 cartier nailed it (literally) with this new juste un clou collection. it was designed by Aldo Cipullo - the mastermind behind the iconic love bracelet, which everyone and their mom's seem to be sporting around! $34,650 depending on the thickness and if you want pave diamonds!! its a pretty pricey nail! this will most definitely be an item on my wishlist i will never be able to cross off. whoah..so funny, I posted about this today too!! I can't decide if I like the old school one (timeless) or the new one- its just SOO cool right? I totally agree, thats what I love about the new one- the simplicity of thinking of a nail to use as jewelry. just saw the ad for these. very clever! I would love to have the thinner one! So cool and classy at the same time. I love these!! They really could match any outfit. Great blog by the way, just joined your followers.